Smith is an absolute bargain this year. Unfortunately for Brodie, injuring his ACL in the 2017 finals meant a long wait on the sidelines last year. Fortunately for us, that means we are getting him at a significant discount! This year you are getting a defensive player who has not dropped below 75 in his last 3 seasons for the price of a 60 average player. That in itself is a great reason to consider him but wait, there is so much more! Smith has an incredibly accurate/powerful right boot that he (and his team mates) love to use to set up out of defense. This means that not only is he more likely to kick rather than handball (on average 1.6 times more likely) he was also ranked #1 for taking the Crows kickouts back in 2017. That new kick in rule will have a great impact on Smith’s scoring if (when) he resumes his kickout duties this season. If you need a snapshot of how that will look this season however, in 2017 Smith played on from kickouts only 21% of the time. Taking a grand total of 77 kickouts for the season this meant that only approximately 17 of those kicks counted towards his fantasy score. If this new rule were in place for 2017, Smith would have recorded an extra 60 kicks for the season, lifting his average from 79.6 to a very tidy 87.7! Just taking it back to my earlier point, you are getting a defensive player this year capable of an 87 average for close to 30 points cheaper. As Adelaide’s highest ranking player for metres gained out of defence, Smith would occasionally find himself locked down with a forward tag from the opposition. In his absence last year we saw Laird take his game to an all new All Australian level and in turn take his fair share of extra attention from the opposition. This year will see teams having to decide between the two meaning Smith should find himself free more often. A meticulous trainer, Smith’s recovery from his ACL alone speaks volumes. To have come back and played AFL less than a year after an ACL injury is amazing let alone to play the game he did against the Giants. He finished that game with 29 disposals, six marks, four tackles, six rebound 50s, 14 contested possessions and a team-high 599 metres gained for 101 Fantasy points. That is an incredible return for (once again) less that a year after a knee reconstruction! With the obvious exception of his ACL injury, Smith has been very durable throughout his career, averaging 20 games a season throughout his last 6 years. Coupled with the ripping condition he’s returned in as evidenced by that Giants game you should have no worries with locking Smith into your backline and forgetting about him until the time comes to upgrade. This leads me to my last point, while I think Smith is a great starting option I don’t believe he’ll be a top 6 defender by the end of the year. If you’re starting Smith then it should be with the intention of upgrading him at some point throughout the year. Adelaide having the last bye in round 14 means he’ll be great cover through the first 2 byes and then you’ll have the opportunity to grab a premium defender from any of the 12 teams who’ve already had their byes. Honestly there aren’t too many reasons not to be starting Smith this year. If you’re a coach who focuses more on week to week rather than your overall however then Smith has the potential to be a coach killer! Unfortunately throughout his career he has a very high standard deviation, meaning that while he’ll usually be a safe bet to average his 75 for the season, he tends to get there by scoring 105 one week followed by 45 the next. While it all evens out in the end and should still have him earning you cash this year, if you’re in a tight head to head league and Brodie Smith has turned in one of his 45’s then you’ll probably be pretty quick to curse me out on twitter for recommending him here, so you have been warned! The only other reason I can think is that he just doesn’t fit your team structure. 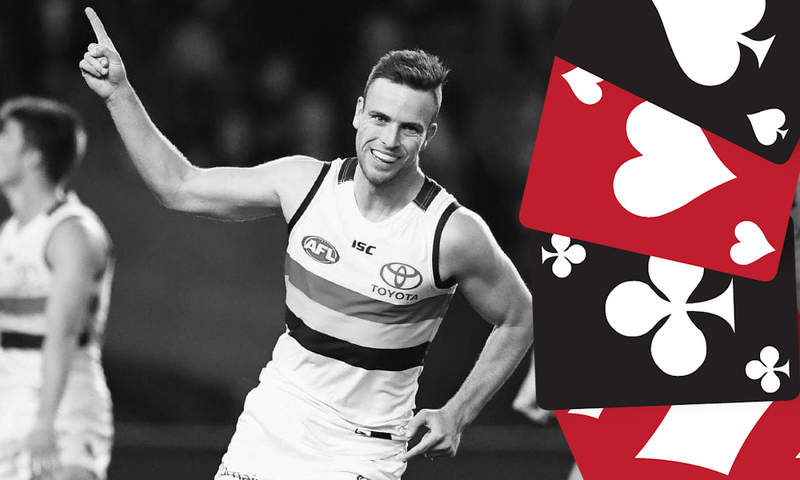 If you’re strictly rocking the Guns n Rooks strategy this year for example then you may find it a bit hard to slot an awkwardly priced mid pricer into your backline. We also have been blessed with the new kickout rule making other previously underwhelming defenders suddenly attractive. Hanley and Birchall are similarly priced options who could both make a case for being a better selection if you only have room for one mid pricer back there. QUEEN – For me this year, Smith is simply a must have. Best case scenario he averages enough to be a great keeper, worse case he is a reliable defender who will score well most weeks while earning you cash to upgrade him later. Looks like a win/win to me! What will Brodie Smith average this year? No, he is not – Smith is a trap. Isn’t Birchall a couple of months away from senior footy after the surgery he had? Not sure you could have all three anyway. He must average at least 80 priced at 60…. is that better than a rookie averaging 65 priced at$250k less? Don’t understand the hype at all. His last 5 seasons (excluding last year where he only played 2 games) have seen him average 79, 77, 71, 82, 68. Not sure why anyone is all of a sudden expecting him to be a 90 type player.